How Long Does The Ascend Free Night Take To Post? Credit Card Benefits How Long Does The Ascend Free Night Take To Post? 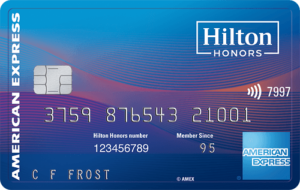 You guys and gals know that I love myself some American Express Hilton Ascend card. I even called it a great everyday spender and I think it can be a front of your wallet card. A big reason for that was the free night that you earn after completing $15,000 in spend during a calendar year. But how long does the Ascend free night take to post after completing the spend requirement? RELATED: New Batch Of People Targeted For Aspire 150K Upgrade Offers! I started working on the spend about 4 months or so back. I had been working on other welcome offers and put this on the back burner. American Express sent out an email that I had completed the spend last week. But I was curious how quickly the free night would come. I was hopeful it wouldn’t take several months like it did for my Aspire card’s annual free night. Side not I love American Express’ spending tracker for the free night bonus! American Express send me the congratulations email on September 20th. The email says that I would receive my free night in 8-12 weeks. That is how long it took for the Aspire free night but I was hopeful that the Ascend would be processed in a more timely manner. To my surprise I received the certificate following the weekend on September 24th. That was a lightning quick response and completely exceeded my expectations. One thing I wish Hilton and American Express would work out is being able to book the free night online. They are falling behind the competition making people call in to book their free night certificates. 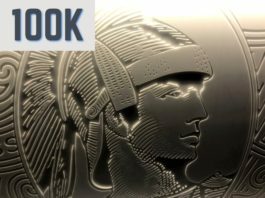 This a great spending bonus that makes the American Express Ascend card one that will be in my lineup for as long as they offer it. I am surprised that this free night came so much quicker than the Aspire yearly free night did. Hopefully that situation has improved since I signed up for the Aspire card since I did it early on. Now that I have completed this free night award it is time for me to focus on completing the Chase World of Hyatt card’s $15K free night. Rotating between the two cards will always give me something to focus on throughout the year when I am not working on a new welcome offer.